For me, one of the best things about summer is how easy & delicious it is to eat healthy. 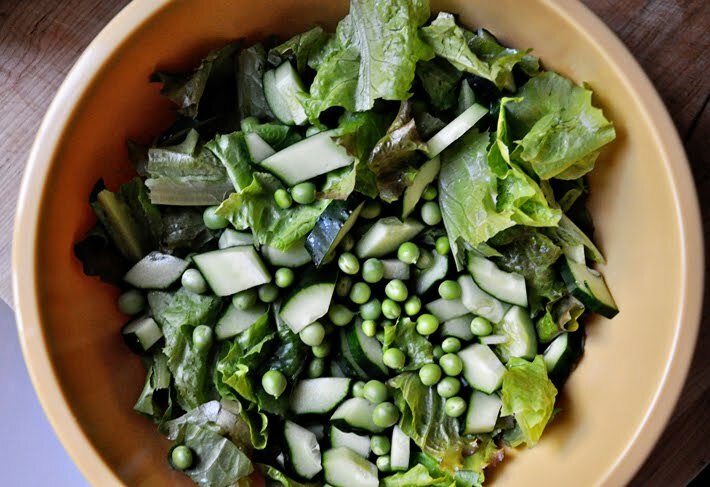 I made this simple green salad using peas from our garden, along with cucumbers & lettuce from Mima's. I adore a substantial salad. I also like how the cucumbers are chunky and not trimmed into wimpy slices.